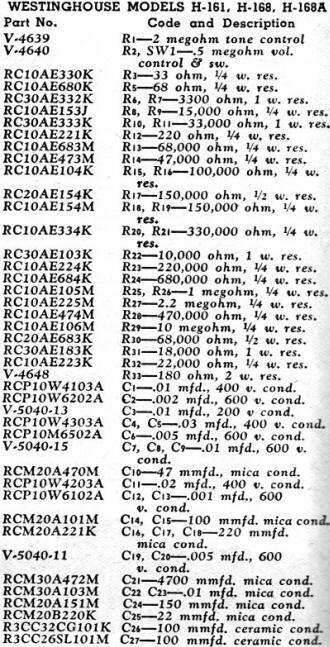 This Radio Service Data Sheet provides schematics and parts lists for Westinghouse Models H-161, H-168 and H-168A receivers. 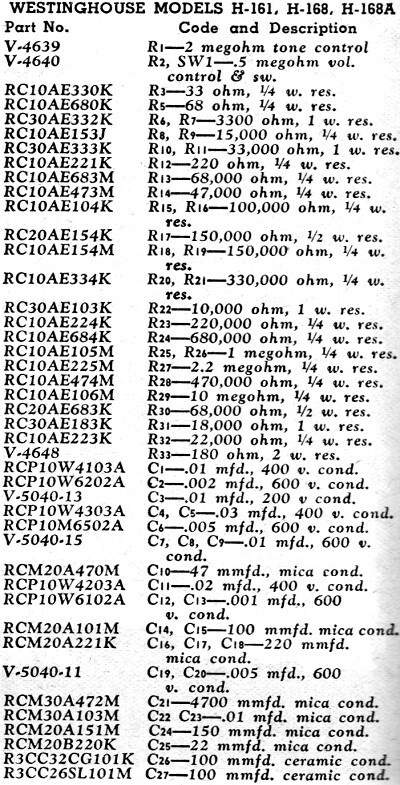 Most - if not all - electronics servicemen had subscriptions to these magazines because they were a ready source of not just these service sheets, but because of the extensive articles offering advice on servicing radios and televisions. In fact, many electronics manufacturers had a policy of supplying service data only to bona fide shops. A large list is included at the bottom of the page of similar documents from vintage receiver schematics, troubleshooting tips, and alignment procedures. 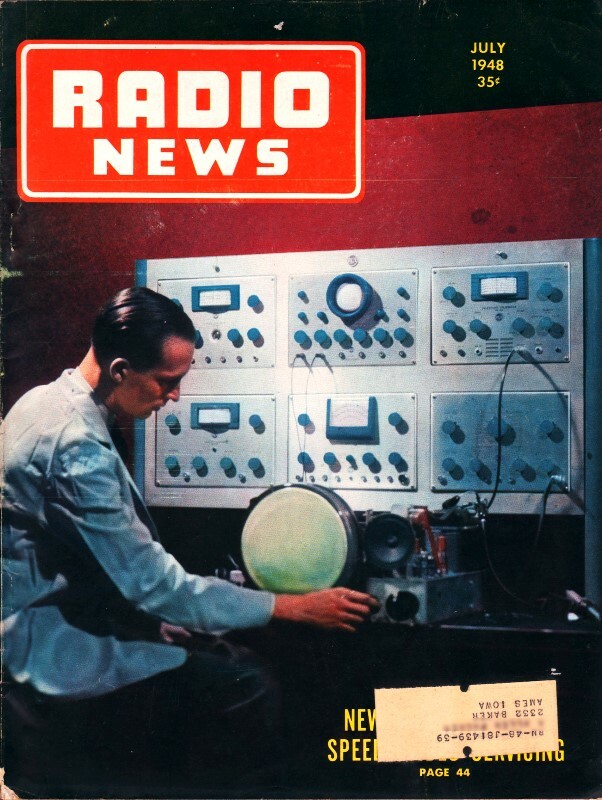 They were originally published in magazines like Radio-Craft, Radio and Television News, Radio News, etc. I scan and post them for the benefit of hobbyists who restore and service vintage electronics equipment.